This year’s theme was “Re-engineering for tomorrow's TV consumer: turning a fragmented market into a global opportunity,” which included an analysis on the television industry. During the opening keynote speech, DTG Chief Executive Officer Richard Lindsay-Davies urged attendees to explore methods that could unite disorganized aspects of TV. At a panel titled “What Happens Next? Scenarios for the future of the UK TV market” Senior Program Manager for Android TV Sascha Prueter emphasized that linear TV still rules the homes of consumers. This was seconded by Keith Underwood, Director of Strategy for Channel 4. 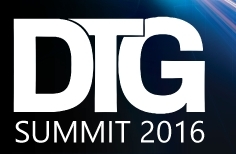 While many viewers currently use OTT services, the findings at the DTG Summit suggest that the standard television is what a majority of audiences are still drawn towards. However, the rise of OTT certainly can't be ignored - at the Digital Content NewFronts, many companies felt the opposite was true.